He emerges in May 1941 with a cell phone he can’t use, money he can’t spend, and little but his wits to guide his way. Stuck in the age of swing dancing and a peacetime draft, Joel begins a new life as the nation drifts toward war. With the help of his 21-year-old trailblazing grandmother and her friends, he finds his place in a world he knew only from movies and books. But when an opportunity comes to return to the present, Joel must decide whether to leave his new love in the past or choose a course that will alter their lives forever. 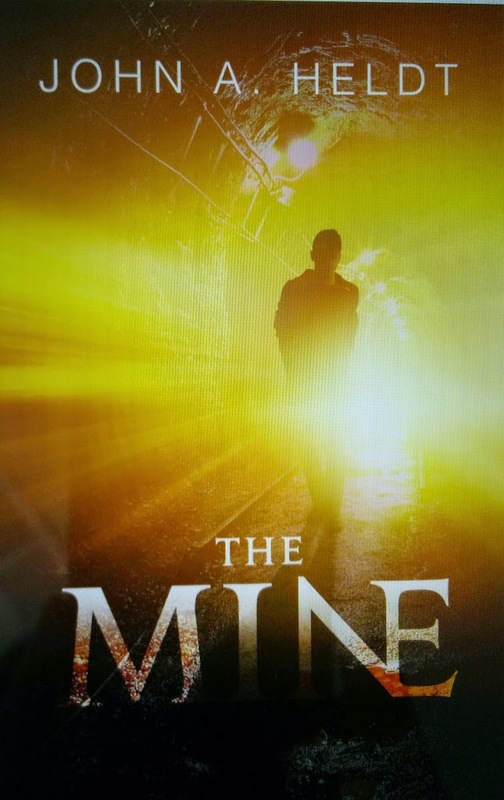 THE MINE follows a humbled man through a critical time in history as he adjusts to new surroundings and wrestles with the knowledge of things to come. The first thought that comes to my mind when it comes to this book is...amazing! This was easily one of the best books I've read in a really long time! At first I was worried that the historical part of the book would bore me because history and I do not mix, but that was not the case at all. I ended up almost craving for more history. I learned more from this book than I did in my high school history classes. Heldt did an awesome job capturing my attention and holding it throughout the entire book. I didn't skim or skip any parts and I ended up reading over half the book in one day. It was truly amazing. This is the first book in a series which means there is more to come. I am looking forward to completing this series. I might be purchasing the second book soon because I don't think I can go without finishing the story of Joel and Grace. Joel Smith is a history minor in his senior year of college. He is taking a break from studying for finals with his friend, Adam. When they come across an abandoned mine Joel can't help himself, he has to explore. When he goes into the mine it is 2000 but when he exits the mine it is 1941. When he finds himself stuck in 1941 he has to go through a couple tough days until he finds a family that takes him in. The family gives him a job and introduces him to the girl that will make him question everything. When the time comes to return to his time he has to decide if he can leave the love of his life, future grandma and new best friend. The ending of this book literally made me scream with joy. I don't think I've ever rooted for a couple to make it like I did for Joel and Grace. I highly recommend this book to everyone, it has time travel, a healthy does of history and a good love story. I give five stars!